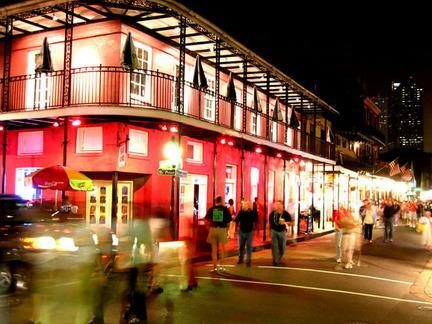 This morning, New Orleans became the next city in the magenta world to begin enjoying all that is 3G goodness. With yesterday’s press release of the Motorola Cliq, T-Mobile stated that they plan to cover 200-million pops by the end of the year and this week bevy of launches shows just that. New Orleans is a town unlike any other and I’m happy to deliver the news to its fine residents/T-Mobile customers of their newly discovered faster speeds. This is just one more reason to begin saving up those pennies and get that Cliq pre-ordered as soon as possible! UPDATE: Baton Rouge is also being reported as going live, though unconfirmed at this point! I think we are getting annoying. Is oklahoma ever gonna get 3g? The whole state is a 3g deadzone! Santa Cruz, CA lit up with 3G for the first time yesterday. 3g is up in palmdale and lancaster ca as of today!! IT IS TRUE…BATON ROUGE ALSO HAS 3G!!!! For those of you who live in Baton Rouge and now have 3G, what type of phone do you have? I am in BR and my Blackberry 8900 still shows EDGE. 3g signal in New Orleans is super weak. two bars of Edge is fawster on data than the 3G I have now. AND is is even worse on the North Shore of Lake Ponchartrain. Is this just a teating period? If this is all it is I will be moving on. Getting great speeds in Metairie. Ranges between 450-1200. Average is about 700.